Costa Rica is unique destination that has the great splendor of the natural world, the rich culture of Central America and location that truly stands alone in its appeal to world-travelers. 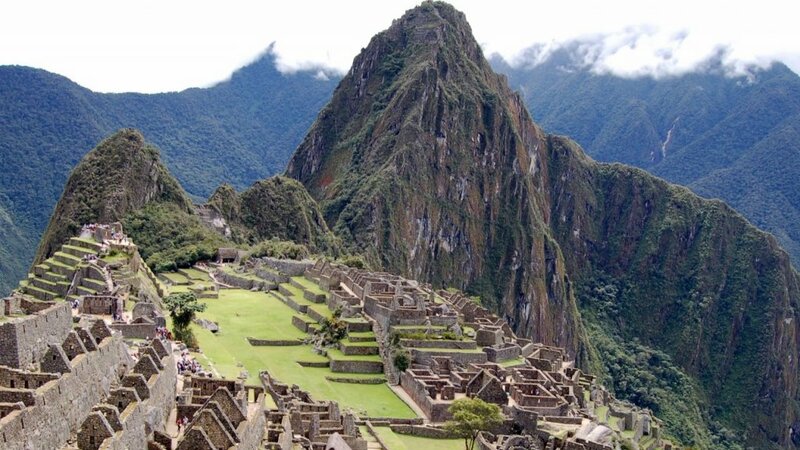 The nation’s several micro-climates and regions create an otherworldly experience because you are able to travel between lush, tropical rain-forest, golden beaches, imposing volcanoes, and tropical forests, all within the same country. 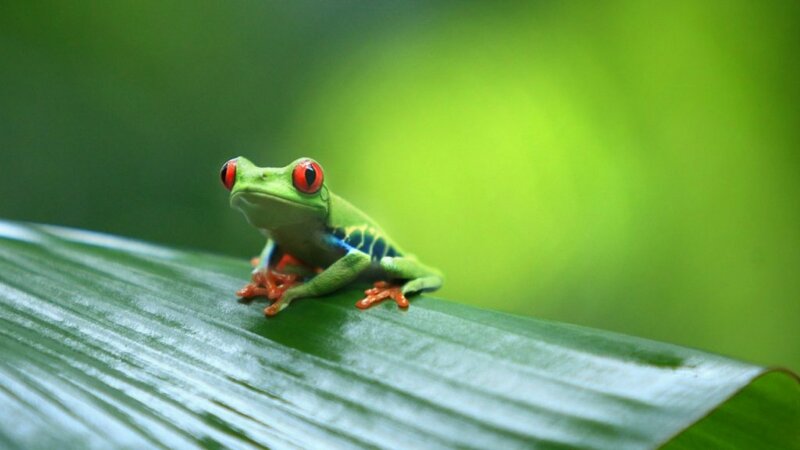 Costa Rica is known for the enormity of its biodiversity, holding over 500 species and accounts for 4% of the entire number of biodiversity on the planet. Given the nations’ cross position between the Pacific Ocean and Caribbean Sea coasts, Costa Rica’s wildlife is truly unique. Just as varied and special as its wild life, the Costa Rican people or Ticos are some of the most warm and cheeriest people in the world. That isn’t just an exaggeration; Costa Rica has topped the Happy Planet Index and has an average life expectancy of nearly 80 years old. The Costa Rican phrase “Pura Vida” or pure life is a perfect description of a visit to Costa Rica. Known and explored by Spanish Conquistadors in the early 1500s, Costa Rica didn’t become a Spanish colony until 1563 because of barriers like disease, scorching heat, and native combatants were able to resist the Spanish from colonizing the country. The city of Cartago became a settlement and the heartland of colonial rule for 250 years, until 1821, when the wave of independence and rebellions spread throughout Central America, and Costa Rica broke away from Spain. Since independence, Costa Rica has only seen two short instances of infighting and civil war, ending in 1949, when the nation disbanded its army. 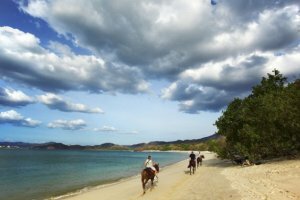 Even though agriculture still holds the lion’s share of Costa Rica’s economy, in recent decades, Costa Rica has made great strides in the technology and tourist sectors. Costa Rican people hold the distinction of being ranked first on the Happy Planet Index twice, which measures the health and happiness of a nation; as well as having a higher life expectancy than most leading, first world nations, even The United States. Size (land area): 19,714 sq. miles; includes Coco Island and Costa Rica is slightly smaller than West Virginia. Elevation Extremes: Lowest point: Pacific Ocean 0 ft., Highest point: Cerro Chirripo 12,500 ft.
Entry/Exit Requirements: Requires U.S citizens to carry a valid U.S passport when traveling to Costa Rica. A visa is not required for U.S travelers whose stays won’t exceed 90 days. Costa Rica is a Central American nation flanked by the Caribbean Sea to the east and the North Pacific to the west; as well as bordering Nicaragua and Panama. The Territory of Costa Rica covers 19,729 sq. miles, consisting of 19,714 sq miles of land and 15 sq. miles of water. The currency in Costa Rica is the colón. The colón currency is divided into 100 céntimos. The denominations of the colón are divvied into golden colored colón coins, silver-colored colón coins and the colón paper notes. The golden colón coins consist of 5, 10, 25, 50, 100, and 500 coins; while the silver coated colón coins only come in 5 and 10 coins. Finally, colón paper notes include denominations of 1,000, 2,000, 5,000, 10,000 and 20,000 colones. Visitors can exchange money at hotels, banks or ATMs. ATMS are widely available through out of the country, excluding the more remote tourist stops and nature lodges. Visa and Mastercard are the most accepted, hotels and restaurants in tourist areas widely accept them. Depending on the types of activities and vacation that you are planning to have in Costa Rica, what you wear is hinges on that. If one is looking to lounge around the beach areas and bask in the shining Costa Rican sun, then typical beachwear is only needed. The more active traveler, who might take to the bountiful rain forests, cloud forests or to trekking up the side of a volcano, will want to bring more items of clothing that are befitting of the micro climates that Costa Rica is known for. Food and Drink: Costa Rican cuisine is typically centered on the abundant, exotic fruits and vegetables that are found in its tropical climate. Most traditional Costa Rica meals are accompanied by delicious rice and black beans. The cuisine is very health conscious and nutritious in its selection of home-cooked influenced meals prepared with fresh ingredients. One local fruit, the plantain, is very commonly used in Costa Rica cuisine and is used in a variety of ways, depending on the dish. Being that Coffee is a valuable commodity in Costa Rica and is among the country’s largest exported goods; Costa Rican coffee or café con leche is a local favorite that is served all throughout the eateries in the country. Given that Costa Rica is positioned only a few degrees north of the Equator; Costa Rica experiences a tropical climate all year. The seasons aren’t categorized into the general four, but are split between the dry season and the wet season, due to the high amounts of precipitation that this region brings. The dry season runs from January, while the wet season lasts from May until November. Costa Rica’s average temperature fluctuates between 70 F and 81 F, with around 100 inches of rainfall yearly. Costa Rica varying climate zones that depend upon geographic factors such as elevation and they range from volcanoes, cloud forests, tropical forests, jungle and splendid beaches. Although the temperatures are most uniform throughout the year in Costa Rica, but in places like mount Chirripo, the highest mountain in the country, temperatures can reach 40 F.
Originally founded by the Spanish in 1739 and became the capital of Costa Rica in 1823, San Jose is known as one of the youngest capitals in South America. The atmosphere of the city matches the liveliness of a capital so newly established. Seated in the heart of Costa Rica; San Jose is known as the nation’s cultural hub. The capital offers a litany of different museums that celebrate Costa Rican culture, history, arts and achievement. San Jose is dotted with many parks and open greenery that gives visitors a change of pace from a typical urban setting. The capital is a modern city with the spirit and the atmosphere of Central America’s rich culture. Looming tall at a height of 5,357 ft., Arenal Volcano towers over the national park area that shares its namesake. Since Costa Rica is at an intersection between the shores of Atlantic Ocean and the Caribbean Sea, the Arenal Volcano National Park is host to a remarkably diverse collection of plant and wildlife. Home to 2,987 species of plants, over 200 species of birds, 15 species of amphibians and many of the recognizable indigenous Central American animals; such as jaguars, pumas, great anteaters, tapirs, sloths, coatis and deer abound throughout the park. Arenal Volcano National Park is truly a naturalist and nature lover’s dream. Established in 1989 by Dr. Daniel Janzen, wanting to preserve the precious habitats of the regions wild life, combined the stretches in between and including the Santa Rosa National Park with the cloud forests of Orosi, volcanos of Cacao and the Northern Costa Rican rainforests that were on the other side of the continental divide. Guarding the area against being used by cattle ranchers for grazing, these areas now encompass 80,338 acres of protected National Park. The walking trails are breathtaking and introduce you to the natural wonders of the Central American ecosystems. Far from your typical national park, Manuel Antonio boasts four white sandy beaches, lush tropical forests, enchanting views and the company of some of the most interesting flora and fauna in the world. 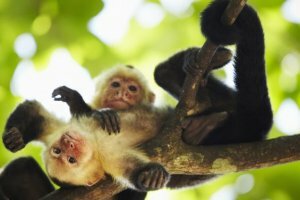 Manuel Antonio may be the nation’s smallest National Park, but it is one of the most notable and sought after destinations in all of Costa Rica. The site of 184 species of birds, 109 species of mammals, three out of four of the species of monkeys that can be found in Costa Rica, iguana, white-nosed coati, brown-throated three-toed sloths, Hoffmann’s two-toed sloths, toucans, and even Dolphins out at sea. The national park offers walking trails, snorkeling, sea kayaking, mountain biking and diving in its pristine waters. Manuel Antonio National Park is a tourist’s Eden. 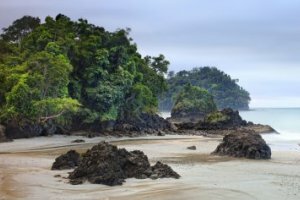 Ecologists, Naturalists and Tourists flock to Corcovado National Park, located on the Osa Peninsula, because of the brimming biodiversity that is within this 164 sq mile haven for animal and plant life. Populated with rivers, lagoons, lowland tropical rainforest, and white sand beaches of the Peninsula’s coastline is a sight to behold. Endangered species like the Baird Tapir and Harpy Eagle call this area home. The waterways are teeming with species like the American Crocodile, Bull Sharks and Spectacled Caiman. A wide variety of monkeys, frogs and vibrantly colored birds are seen around the park. On the shoreline and off the coast of the Corcovado National Park are treated with sightings of humpback whales, dolphins, killer whales and manatees, depending on the season. There is a reason that National Geographic has praised the area for its diversity and visitors can also attest to that. Translated to Turtle Catcher, Tortuguero National Park delights visitors its whole host of different sea turtle species. The beaches of Tortuguero are fertile ground for sea turtle nesting and hatching. An event that is notable every season is the dramatic dash that recently hatched turtles make for the sea. Full of rivers, lagoons and canals; Tortuguero National Park is better suited to be explored by boat or kayak. Featuring over 375 species of birds, several unique species of reptiles, amphibians and manatee, Tortuguero National Park is a front row seat to the attractions of the natural world. At Monteverde the expression, “Walking among the Clouds” takes on a literal meaning due to the climate and precipitation at the high altitudes that creates fog. These conditions are perfect for biodiversity and it really shows. Walking down misty suspension bridges in the Cloud Forests are a surreal and once in a lifetime experience. To be ensconced in the majestic surroundings of this region’s plant and wildlife is a trip that shouldn’t be missed. The Monteverde Cloud Forests are a true natural spectacle and a reason why the area is one of the seven wonders of Costa Rica. 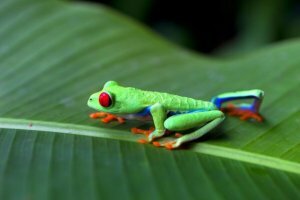 Costa Rican Eco-Journey places you in the center of one of the greatest concentrations of wildlife on the planet. Costa Rica's sites seem like a dreamscape to visitors because of how varied the geography and the wonder found in the natural beauty this attractive nation has. Featuring: San Jose, Manuel Antonio, Damas Island, Osa Peninsula, Corcovado and Arenal. What better place to celebrate your union than to explore the natural beauty of Costa Rica, a romantic playground with shining scenery, fascinating wildlife and the comforts of a true paradise on earth! Featuring: San Jose, Pacuare, Bajos del Toro, Arenal, and Guanacaste. 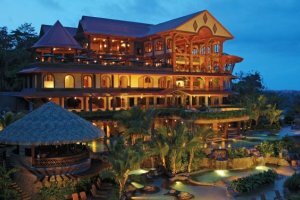 This journey takes visitors on trailblazing journey of the best of Costa Rica. From the bio-diversity, jaw-dropping landscapes, golden beaches and smiling people; Costa Rica is an unforgettable destination. Featuring: San Jose, Tortuguero, Arenal, and Guanacaste. Let the allure and beauty of Costa Rica woo you in this 8-day luxury journey. This journey offers a whole range of unmatched tours that will truly endear you to the appeal of Costa Rica. This inviting nation is known to leave its visitors swooning. Featuring: San Jose, Arenal, Tamarindo Beach and Guanacaste. A stunning resort that is located along the rushing Arenal River; The Springs Resort and Spa offers its guests the breathtaking views of the Arenal Valley, with all the amenities of a five-star property.